We offer a standard profile solid wood flooring in several different species. We dry our flooring to 6-8% moisture content, and most wood species get run twice, so you are insured a stable, straight product for your floor. Because of the expansion/contraction issues related to solid wood flooring, we recommend acclimating your flooring to its surroundings a minimum of 3 weeks before installation. 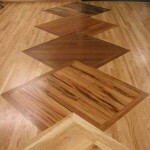 Following is a list of some of our standard flooring offerings. Birch flooring: Standard 4” cover, rustic native birch flooring. Rustic hardwood grade, knotty birch with variegated coloring. Rustic knotty fir: Standard 5” cover, 3 and better, sorted for appearance. 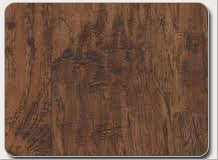 VG Larch floor: our flagship flooring, this is a premium B and better select vertical grain floor.